As part of our ongoing support for the mortgage broking industry, we launched our first ever New Broker Academy, a conference specifically designed for new mortgage brokers to help them succeed in their broking career. Here are some of our key takeaways. If you could go back and give your younger self advice on how to succeed in mortgage broking, what would you say? Is there anything that you would do differently? What do you know now that you didn’t know then? 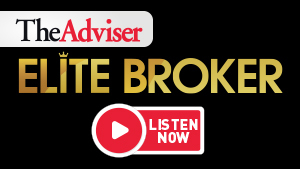 At our events across the country over the years, and in our Elite Broker podcast, we’ve heard some fascinating tales from brokers outlining what they wished they had known at the beginning of the career. It got us thinking: this information would be invaluable to mortgage brokers starting out in their career. And so, The Adviser’s New Broker Academy was born. Visiting Melbourne and Sydney in July — and coming to Brisbane and Perth in October — the conference brings together the top brokers, education providers and brokerages to reveal the tips, tricks and training necessary to get the most out of your time and energy, and help your business thrive. From helping new brokers understand what to expect from a career in broking, what the first 18 months will entail, how to win and keep clients, and how to unlock the digital marketing secrets allowing you to increase conversions – the takeaways and insights have so far been fascinating, entertaining and sometimes even moving. In both Melbourne and Sydney we heard from Stuart Donaldson, founder of the Banyan Co, who outlined in a practical session what new brokers can expect to confront in the first two years of their journey, and how to create an effective blueprint and plan for your business; Deena Janes, managing director of Your Client Matters, revealed what clients look for in their brokers and the secrets to winning referrals and keeping clients loyal; while Glen Coutinho, director, auctioneer and licensed estate agent at RT Edgar Boroondara, led an entertaining session on how he stays front of mind and delivers unrivalled customer service. In a panel session, brokers heard how leveraging the right technology is essential to helping improve business processes and effectively service clients. Ayhan Baba, CEO of MSA National; Tony Carn, sales director of NextGen.Net; and Richard Burns, Aussie’s general manager for customer experience and technology, identified the best solutions and tools available to help brokers succeed. But surviving as a broker isn’t just about the running of business, or the closing of deals, it’s also about looking after your health – both physically and mentally. Sam Makhoul, managing director and ‘wellness warrior’ of MSA National led an engaging and engaged session on avoiding burnout, harnessing energy and getting to ‘peak performance’. The conference also heard from brokers at the top of their game, as they revealed the risks and rewards of broking, how choosing the right mentor and being a dedicated mentee can pay off and how they survived the first two years of their careers. Natasha Choi and Mark Davis at The Australian Lending & Investment Centre in Melbourne revealed the dedication, commitment and sheer determination they have invested in the business, but also each other – with Mr Davis revealing his pride and happiness at Ms Choi’s win as Best Newcomer at our Better Business Summit in Melbourne earlier this year. Over in Sydney, Justin Doobov – managing director of Intelligent Finance and multi-award-winning broker – told those considering a career in broking how he went from driving around in his Toyota Echo and working out of his parents’ garage to having clients come to his house in Dover Heights (and maybe have a go on his indoor climbing wall or visit his cinema), while they try his now-legendary banana smoothie. We asked some of our contributors for their top tips for new mortgage brokers. Here are just a section of their responses. Heritage Bank is delighted to be the Principal Partner of the New Broker Academy program and to welcome brokers to this dynamic and exciting industry. Heritage is Australia’s largest customer-owned bank and boasts a 20-year involvement with the mortgage broker sector. Our “people first” philosophy extends as much to our mortgage broker partners as it does to our home loan customers. We pride ourselves on providing personal, people-based service to everyone we deal with. We understand that starting out in a new industry is challenging for everyone. By sponsoring the New Broker Academy, we’re doing our bit to help brokers quickly become comfortable and proficient in an industry we’re proud to support. Heritage is only too happy to help kick-start your broking career and to continue working with you as you build your profile in the broker sector. All the best as you tackle this exciting new challenge.